A lot of other business mailing lists aren't worth the paper they're written on, but this comprehensive paper industry email database is a valuable resource filled with real, quality sales leads you can use to form B2B relationships and make more sales. Paper-makers need a variety of tools to do their jobs effectively, from specialized mechanical equipment to basics that any business needs, like health insurance or even vending machines. Does your business offer something that could help? 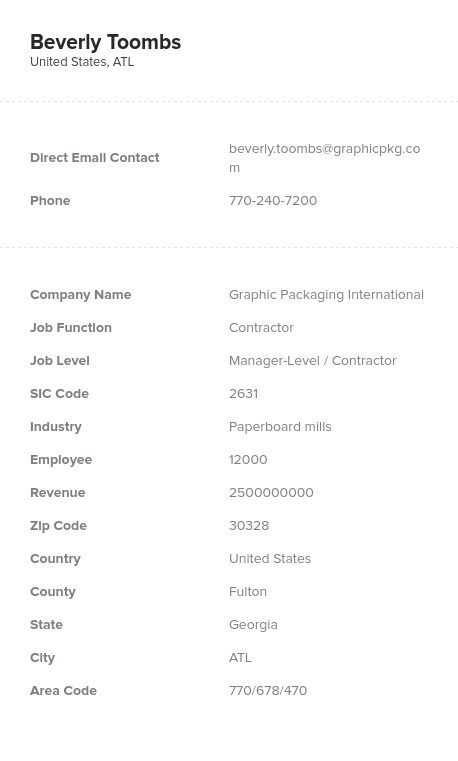 If so, let them know using this reliable paper manufacturer email list, which contains useful, up-to-date contact information for key sales leads with purchasing power in the paper production industry. This comprehensive pre-built bulk email list, like all of our business lists, contains a wealth of information on the people you need to get to know, including their real names and job titles, company information, phone numbers, email addresses, and mailing addresses. No matter which type of marketing campaign you have in mind, our paper industry mailing list can put you in touch with the people who could become your future customers! But we're not just about giving you a lot of information. Quality is just as important as quantity, and that's why every email address list we sell is both machine-checked and human-verified regularly. We won't just sell you sales leads: We sell solid, up-to-date, direct leads, raising the odds that your message will reach its intended recipients. We even have a deliverability guarantee! Download this paper manufacturing email database to get started making more sales to people in the field of paper production right away. It comes as an easy-to-use .CSV file that's simple to either work with directly or import into a CRM platform. Buy it today and start pounding your competition to a pulp!